Installing Pipe Prop is faster and easier than any pipe support structure or pipe stand for roof top piping on the market today, which is just one of the reasons you’ll find it on some of the best roofs in the country. We’ve created the Pipe Prop with efficiency in mind because the faster you install Pipe Prop, the faster you’re able to get to the more complex, technical parts of your job. We’ve made the installation process as simple as possible, and that will mean increases in productivity and efficiency with fewer headaches. You’ll only need four other elements in addition to the Pipe Prop saddle and base. Cut the pipe to the correct length. Apply PVC glue to the pipe and attach the saddle base and conduit. 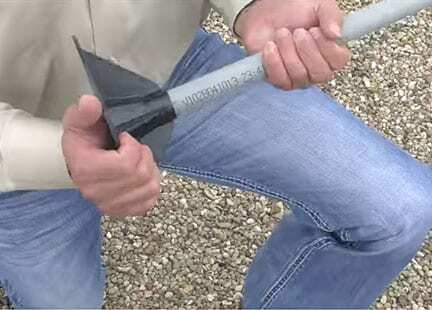 Position Pipe Prop where you need it, according to building codes. Attach to roof according to the roofing manufacturer’s recommendations. 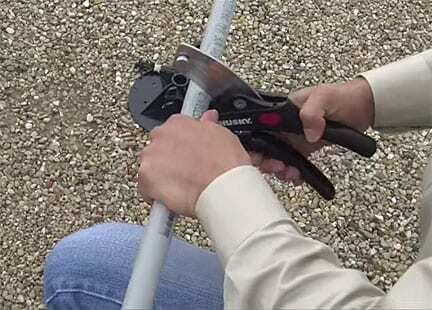 Lay the pipe in the saddle and secure in place with one nylon cable tie (provided). 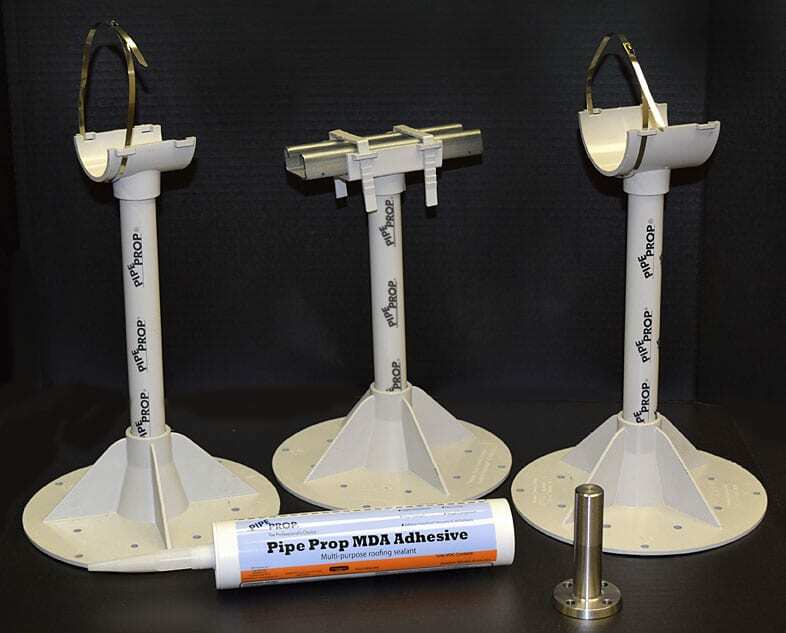 When Pipe Prop’s base is installed properly, the bond formed is almost indestructible, making the Pipe Prop a trusted source for pipe support for industry professionals everywhere. The Pipe Prop’s install-it-and-forget-it ease and dependability make it the go-to choice for your next project. Let Pipe Prop do the job for you, so you can move on quickly to your next assignment! Need help with your Pipe Prop install? Contact our pipe support professionals today at 880.590. 0120, or fill out our online form for prompt assistance. The installation video below is from an HVAC contractor discussing the use of multiple roof systems and tying in multiple roof drains. In his dialog, he displays the use of the Pipe Prop stands from the various HVAC units and the use of 1″ drain pipes.